Who wants a free Galaxy Nexus? You do? We thought so, and we've one to give away - CDMA or GSM, it's winner's choice this time. Before we get into the giveaway details, though, we want to give some love to the guys at BitHack, without whom this giveaway wouldn't be possible. BitHack is the dev team behind the game Apparatus, a title that you've probably heard quite a few times 'round here at Android Police. Ben Warren with this 1-line review: "The only game I've played where I can quite happily spend 3 hours trying to come up with the most ludicrously complex way to move a ball an inch and a half to the left." Apparatus is a game of skill where it's your job to "build a complex machine to perform a simple task." Connect components together to a achieve one goal: get the ball in the bucket. Sounds easy, right? Not so much - this one is the epitome of easy to learn, difficult to master. Roll that beautiful gameplay footage! That's just a small sample of what you get from Apparatus, too - it's just been updated for Christmas. Want to show BitHack some thanks for offering up a free Galaxy Nexus? Hit the link below and buy your copy of Apparatus! The Galaxy Nexus is a phone that needs no introduction - it's probably the hottest phone on the market right now. If you win, you can choose between either the Verizon (LTE) or international (GSM) version. Hooray for choices! Let's all just look at it for a few minutes. It's just so pretty. Entering is easy - just leave a comment with a one-line review of the game. The winner will be chosen by the Apparatus developers, so make your entry count! The contest starts now and will run until December 24th, 2011 (Christmas Eve) at 11:59PM PST. This is a worldwide giveaway. Gotta have the fine print! ANDROIDPOLICE.COM, A CALIFORNIA SOLE PROPRIETORSHIP (referred to herein as “Contest Provider”) IS THE PROVIDER OF THIS CONTEST. THIS CONTEST IS OPEN ONLY TO RESIDENTS OF THE UNITED STATES, CANADA, MEXICO, CHILE, AUSTRALIA, NEW ZEALAND, SINGAPORE, INDIA, FRANCE, BELGIUM, THE UNITED KINGDOM, LUXEMBOURG, GERMANY, AUSTRIA, SWITZERLAND, SWEDEN, FINLAND, DENMARK, NORWAY, SPAIN, IRELAND, RUSSIA, THE NETHERLANDS, SOUTH KOREA, SOUTH AFRICA, TAIWAN, ITALY, PORTUGAL, SLOVENIA, ESTONIA, LATVIA, LITHUANIA, ROMANIA, SLOVAKIA, MALAYSIA, VIETNAM, THE PEOPLE'S REPUBLIC OF CHINA, THE CZECH REPUBLIC, CROATIA, THE UKRAINE, POLAND, BULGARIA, AND HUNGARY WHICH ARE: (i) OVER THE AGE OF MAJORITY IN THEIR COUNTRY OF RESIDENCE ON THE DATE REFERENCED BELOW AS THE START DATE FOR THE CONTEST; AND (ii) WHO ARE NOT RESIDENTS OF THE STATE OF RHODE ISLAND IN THE UNITED STATES; THE PROVINCE OF QUEBEC, CANADA; OR RESIDENTS OF THE AUSTRALIAN STATES OF VICTORIA, QUEENSLAND OR THE AUSTRALIAN CAPITAL TERRITORY ("ENTRANTS"). If you are under the legal age of majority in your country of residence, but are (i) over the age of 13 years of age and a resident of the United States of America, or a member country of the European Union other than Spain, or the United Kingdom; (ii) who is least 14 years of age and a resident of Spain, the United Kingdom, or Russia; or (iii) who is at least 15 years of age and is a resident of the Republic of Korea; one of your parents or legal guardians must submit a signed, written statement that they have read, understood and agree to these Contest rules with your entry, and that such agreement constitutes acceptance of these Contest rules on behalf of you and themselves. Residents of the State of Rhode Island in the United States, the Province of Quebec in Canada, or Queensland, Victoria, or the Australian Capital Territory in Australia are ineligible for participation in this Contest. All applicable federal, state and local laws and regulations apply. There is no cost to enter or win. Offer void where prohibited. The Contest begins December 22th, 2011 at 2:00PM Pacific Time and will continue until December 24th 2011 at 11:59PM Pacific Time (the "Deadline"). All entries must be received before the Deadline to be eligible to win the Prize. 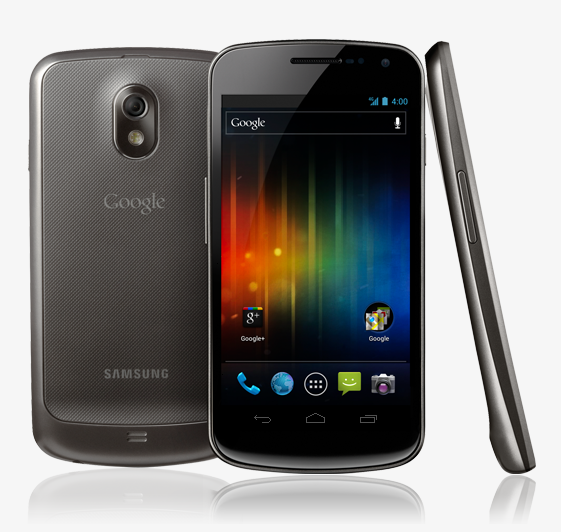 One (1) eligible entrant will be chosen by the Contest Sponsor as the “Winner,” and will receive the “Grand Prize,” one (1) Samsung "Galaxy Nexus" Smartphone computing device, estimated retail value $749.99. Prizes are not transferable. The Prizes will be provided “as is,” Contest Provider and Prize Provider provide no warranties of any kind, express or implied, including any implied warranties of merchantability or fitness for a particular purpose. Shipment of The Prize will be the sole responsibility of Prize Providers. Shipment method and carrier will be selected by Prize Providers. Contest Provider and Prize Providers assume no responsibility for loss of or damage to the prize prior to or during shipment. If the Prize, after shipment, is returned to either of the Prize Providers as undeliverable or for any other reason, Contest Provider and Prize Providers reserve the right to disqualify the Winner and to designate another Entrant as the Winner. 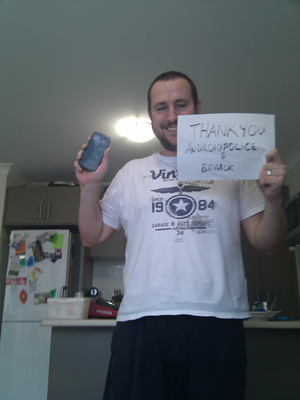 Contest provided by Android Police. Prizing provided by Bithack. Any questions regarding the Contest should be directed via e-mail to Artem Russakovskii at [email protected]. Entrants agree to be bound by these Official Rules and by the decisions of the Contest Provider, which are final and binding in all respects. Contest Provider reserves the right to change these Official Rules at any time, at its sole discretion, and to suspend or cancel the Contest or any entrant's participation in the Contest should any causes beyond Contest Provider’s control affect the administration, security or proper play of the Contest or Contest Provider otherwise becomes (as determined by its discretion) unable to run the Contest as planned.